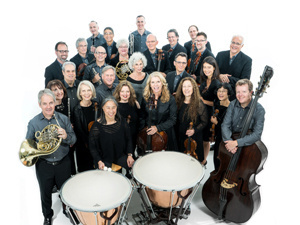 The Grammy Award-winning orchestra is a standard-bearer of innovation and artistic excellence, combining the intimacy and warmth of a chamber ensemble with the richness of an orchestra. Performing without a conductor, Orpheus presents an annual series at Carnegie Hall and tours extensively. They’ve released 71 critically-acclaimed recordings to date, on the Sony Classical, EMI Classics and Decca labels, as well as their own, Orpheus Chamber Orchestra Records. ECU’s program features pianist Javier Perianes and includes works by Mozart and Dvorák. Don’t miss this crown jewel! Seating by zone at $55, $45, $35 and $25. ECU student tickets available in person at $10 from MSC Central Ticket Office or the Health Sciences Student Center Helpdesk.